Boss Snow Plows & Parts, Find the BEST Prices and a Huge Selection of Boss Snow Plow Parts. Buy Parts by Exploded Part Diagrams for Straight Blade, V-Blade, Trip Edge, RT3 and SmartHitch Plows. America's Parts Warehouse and THE BOSS SNOW PLOW providing you with the highest quality snow and ice removal equipment and snow plow OEM replacement parts that are durable, reliable and tough enough to wear THE BOSS Snowplow name. Whether you are looking for a municipal snow plow parts, commercial snow plow parts, residential snow plow parts or other snow and ice removal equipment from Boss, we will meet your snow removal equipment needs plus provide service after the sale. 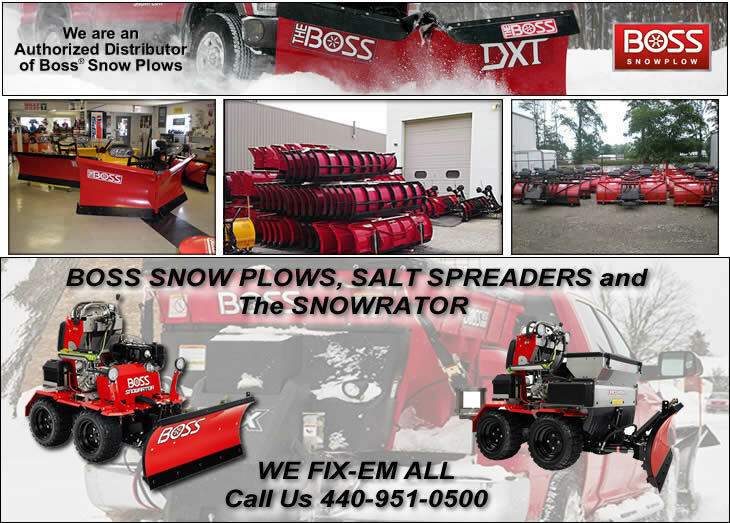 The BOSS Snow & Best Truck Equipment, Inc, offers a complete line of Boss Power V-blades, Straight Blades, Trip Edge Plows, Box Plows, Skid Steer Plows and UTV Snow Plow Parts, Plus Boss Tailgate Spreaders and Boss Snow Plow Accessories. ATTENTION MOBILE USERS: Click Here to View Our Complete Site to View Part Diagrams at Full Size.